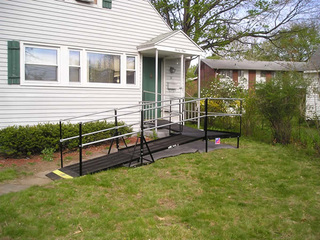 Residential installation of a 22-foot-long Amramp wheelchair ramp makes this Springfield, MA home accessible. 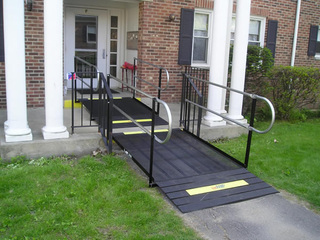 For commercial use the Northampton Housing Authority is one step closer to accessibility and now ADA-compliant with an Amramp ramp. 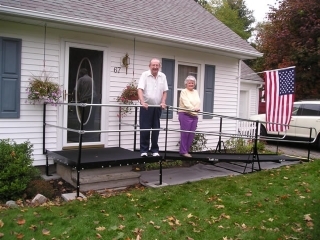 Amramp is great for historic districts since the ramp does not permanently alter homes like this one in Stockbridge, MA.